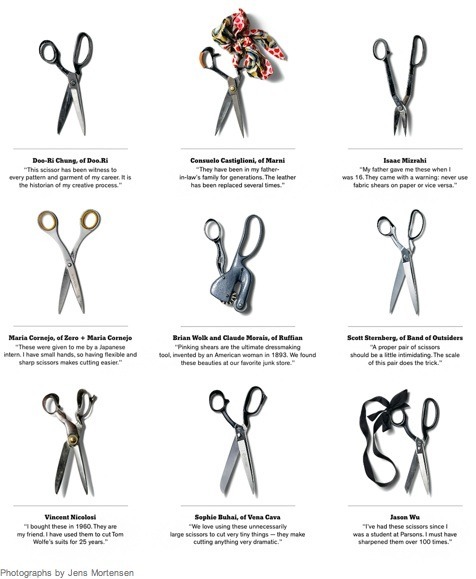 Earlier this month, the New York Times Sunday Magazine had a spread on Designer Shears, curated by Carin Goldberg. I loved seeing this spread because, as I’ve noted before, the tools that you use are very important - and so very personal! They really become part of you, your life, and your creative experience. 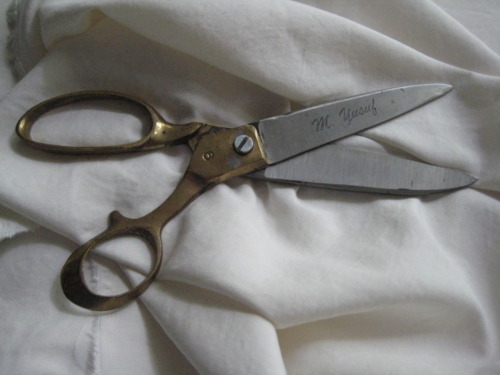 And here is this designer’s favorite pair of scissors, signed by the person who made them. They were a gift to me, they have the perfect weight, and they work superbly. And, as Isaac Mizrahi noted, I never use them on paper! Let me know about your tools. I’d love to do a post on reader’s favorite tools!